Phoenix Models: one limited edition collectable, die-cast metal airliner model in a 1/400th scale of a Boeing B787-9 Dreamliner in the LOT - Polish Airlines Current Delivery Colors Scheme. Airframe Registration SP-LSA. This model is constructed of die-cast metal with some plastic parts. This product is available beginning in July 2018. Phoenix Models: one limited edition, collectible die cast airliner model in 1/400 scale of an Airbus A330-223 in the Malaysia Airlines Current Colors. Airframe Registration 9M-MKW. The model is constructed of die-cast metal with some plastic parts. This product was released in October, 2010. Phoenix Models: one limited edition, die-cast airliner model in a 1/400th scale of an Airbus A330-223X in the Malaysia Airlines NEW Colors. Airframe Registration 9M-MTB. This model is constructed of die-cast metal with some plastic parts. This product is available beginning in April, 2013. Phoenix Models: one limited edition, die-cast airliner model in a 1/400th scale of an Airbus A330-223X in the Malaysia Airlines NEW Colors. With titles ?OneWorld?. Airframe Registration 9M-MTE. This model is constructed of die-cast metal with some plastic parts. This product is available beginning in April, 2013. Phoenix Models: one limited edition collectable, die-cast metal airliner model in a 1/400th scale of an Airbus A350-900 in the Malaysia Airlines NEW Colors Scheme. With titles Negaraku. Airframe Registration 9M-MAC. This model is constructed of die-cast metal with some plastic parts. This product is available beginning in November 2017. Phoenix Models: one limited edition collectable, die-cast airliner model in a 1/400th scale of a McDonnell Douglas MD-11 in the Mandarin Airlines Last Color Scheme. Airframe Registration B-152. This model is constructed of die-cast metal with some plastic parts. This product is available beginning in November, 2014. Phoenix Model: one limited edition, collectible die cast airliner model in 1/400 scale. 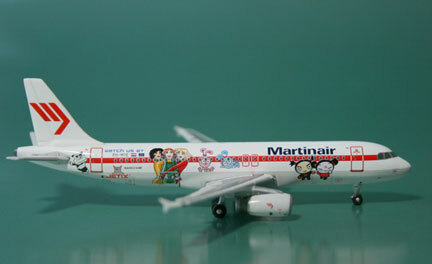 All construction is made of metal, of an Airbus A320-232 in the Martinair Airlines Special Jetix Cartoon Colors. Airframe Registration PH-MPE. This models is available as of July, 2007. Phoenix Model: one limited edition, collectible die cast airliner model in 1/400 scale. 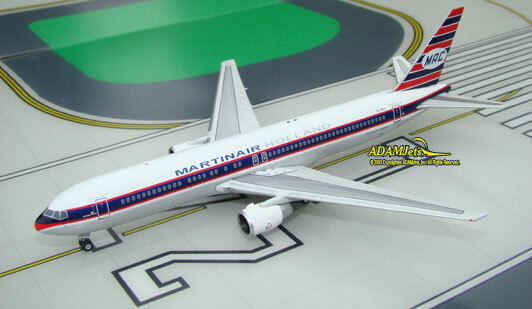 All construction is made of metal, of an Boeing B767-31A/ER in the Martinair Cargo Airlines Special 50th Anniversary Retro Koningin Beatrix Colors. Airframe Registration PH-MCL. This models is available as of September, 2008. 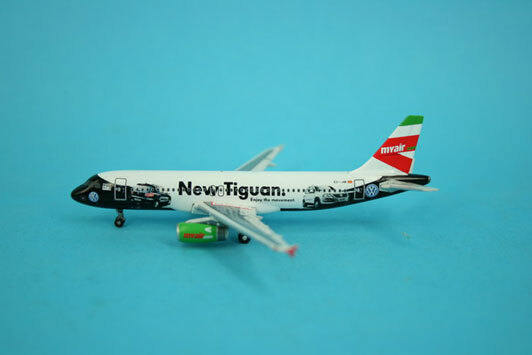 Phoenix Models: one limited edition, collectible die cast airliner model in 1/400th scale of an Airbus A330-243 in the Mexicana Airlines Last 2010’s Colors Scheme. Airframe Registration XA-MXQ. The model is constructed of metal with some plastic parts. This product was released in July, 2017. Phoenix Models: one limited edition, collectible die cast airliner model in 1/400th scale of an Airbus A330-243 in the Mexicana Airlines Last 2010’s Colors Scheme. Airframe Registration XA-MXP. The model is constructed of metal with some plastic parts. This product was released in July, 2017. 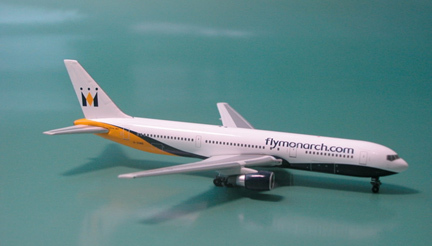 Phoenix Models: one limited edition collectable, die-cast airliner model in a 1/400th scale of an Airbus A300B4-605R in the Monarch Airlines Last Color Scheme. Airframe Registration G-MAJS. This model is constructed of die-cast metal with some plastic parts. This product is available beginning in October, 2014. Phoenix Model: one limited edition, collectible die cast airliner model in 1/400 scale. All construction is made of metal, of an Boeing B757-217 in the Monarch Airlines Special HedKandi Colors. Airframe Registration G-MOND. This models is available as of November, 2007. Phoenix Model: one limited edition, collectible die cast airliner model in 1/400 scale. All construction is made of metal, of an Boeing B767-31K/ER in the Monarch Airlines FLYMONARCH .COM Scheme. Airframe Registration G-DIMB. This models is available as of September, 2005. Phoenix Model: one limited edition, collectible die cast airliner model in 1/400 scale. All construction is made of metal, of an Airbus A320-232 in the MyAir Airlines Special Volkswagen Colors. Airframe Registration EC-JIB. This models is available as of May, 2008. Phoenix Models: one limited edition collectable, die-cast airliner models in a 1/400th scale of a Boeing B747-306M in the Orient Thai Airlines Old “One to Go” Colors. Airframe Registrations HS-UTK. This model is constructed of die-cast metal with some plastic parts. This product is available beginning in April, 2014. Phoenix Models: one limited edition collectable, die-cast airliner model in a 1/400th scale of a Boeing B767-338E in the PB Air Airlines Current Colors Scheme. Registration HS-PBH. This model is constructed of die-cast metal with some plastic parts. This product was released in Released in May, 2006. 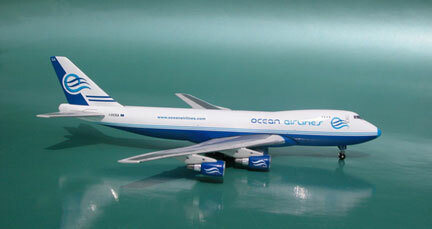 Phoenix Models: one limited edition collectable, die-cast metal airliner model in a 1/400th scale of a Boeing B777-3F6/ER in the Philippines Airlines Current Color Scheme. With 75th Anniversary logos. Airframe Registration RP-C7774. This model is constructed of die-cast metal with some plastic parts. This product is available beginning in August 2016. Phoenix Models Accessory: one limited edition 1/400 scale Metal (Chrome Finish) Model Stand for use with all Phoenix Models in a 1/400 scale. Can also be used with most other 1/400 Brands die-cast models. Please take Notice, this unit comes one per package, pre-assembled with a screw, and it's sealed in a plastic pack. This product is NOT REFUNDABLE, Or RETURNABLE for an EXHANGE nor CREDIT. Phoenix Models Accessory: one limited edition 1/400 scale Metal (Matte Black Finish) Model Stand for use with all Phoenix Models in a 1/400 scale. Can also be used with most other 1/400 Brands die-cast models. Please take Notice, this unit comes one per package, pre-assembled with a screw, and it's sealed in a plastic pack. This product is NOT REFUNDABLE, Or RETURNABLE for an EXHANGE nor CREDIT. Phoenix Models Accessory: one limited edition 1/400 scale Metal ( Matte Black Finish ) Model Stand for use with all Phoenix Models in a 1/400 scale. Phoenix Models: one limited edition, die-cast airliner model in a 1/400th scale of an Airbus A330-203 in the Qantas Airways Current Colors. With titles "OneWorld?. Airframe Registration VH-EVB. This model is constructed of die-cast metal with some plastic parts. This product is available beginning in April, 2013. Phoenix Models: one limited edition collectable, die-cast metal airliner model in a 1/400th scale of a Boeing B747-438 in the Qantas Airways 2010s Special Boxing Kangaroo London 2012 Colors Scheme. Airframe Registration VH-OJU. This model is constructed of die-cast metal with some plastic parts. This product is available beginning in August 2012. Phoenix Models: one limited edition collectible, fully assembled, and highly detailed die cast airliner model, in a 1/400th scale of an Airbus A350-1000 in the Qatar Airways Current OneWorld Colors Scheme. Airframe Registration A7-ANE. The model is constructed of die-cast metal with some plastic parts. This is a collectable model, not suitable for children under the age of 14 years. This product was first released in April, 2019. Phoenix Models: one limited edition collectable, die-cast metal airliner model in a 1/400th scale of an Airbus A350-941 in the Qatar Airways Current Delivery Colors Scheme. Airframe Registration A7-ALD. This model is constructed of die-cast metal with some plastic parts. This product is available beginning in May, 2018.